After you remove the snow, treat the ground to prevent refreezing with bagged calcium pellets Chadds Ford 19317! At Burke Landscape Supply we have bagged calcium pellets in stock to help prevent refreeze. Burke Landscape Supply has great pricing on calcium chloride, bag salt, bulk salt, pellets, and sidewalk blends Chadds Ford 19317. We offer your salt & de-icing materials in 50lb Bags or by the pallet at our Trainer and Clifton Heights locations. Call us for bulk rock salt at our Trainer location at 610-494-9600. 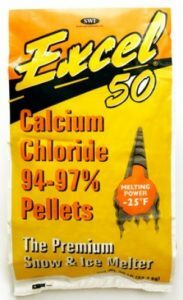 Calcium Chloride – Excel 50 Calcium Chloride Pellets melt ice and snow much faster than typical rock salt or blended melters. 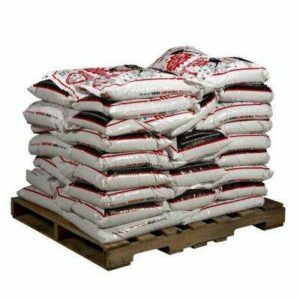 We offer 50lb bags of calcium chloride individually or by the pallet. Bag Salt – The Old Salt – Halite Salt Crystals are rock salt.Halite rock salt is the naturally occurring mineral form of sodium chloride. It is often used in commercial and residential locations. We offer 50lb bags of bag salt individually or by the pallet. Bulk Salt – Come pick up your bagged calcium pellets at our Trainer yard Chadds Ford 19317. 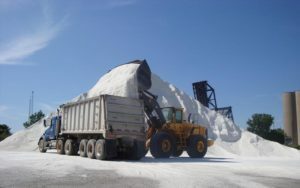 If you prefer, have us deliver bulk salt to your commercial or residential location. Call our Trainer yard at 610-494-9600 for more information Chadds Ford 19317. Many people ask, is there a difference between halite and rock salt? The simple answer is halite is a mineral, rock salt is a rock. It’s like the difference between quartz and quartzite. 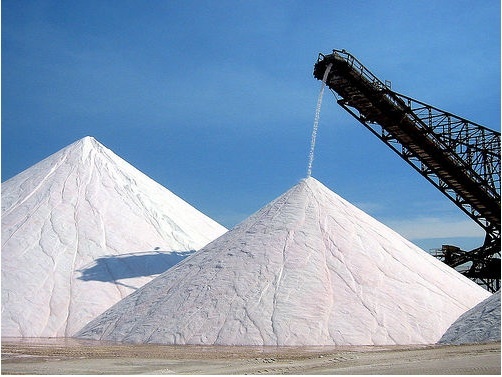 Also, while halite is sodium chloride, rock salt can have any number of other salts present in it. Calcium Chloride Pellets – Effective at cold temperatures down to -25F. We offer 50lb bags of calcium chloride pellets individually or by the pallet. Sidewalk Deicer Blends – Sidewalk deicer blends combine the properties of multiple ice melter chemicals. We offer 50lb bags of sidewalk deicer blends individually or by the pallet. Do not over apply, follow instructions on the label. Clear snow first. Do not try to melt everything. Wear gloves. Ice melts are an irritant. Do not use on new concrete that has not fully cured. All products have some effect on the environment. Flush area with water if over-use is suspected or if damage appears on plants. 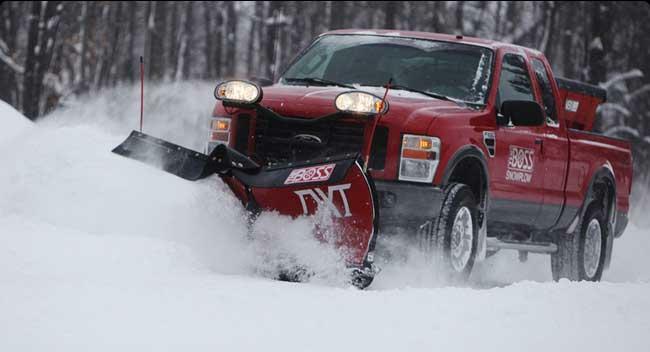 We carry all latest models of snow removal equipment from Western, BOSS and SnowDogg. We have a large supply of repair and maintenance parts from Meyers and Fisher. Click for More Information. 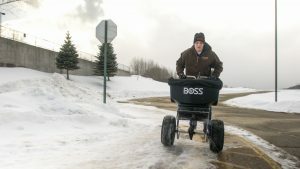 Whether you are a Contractor or Residential customer, we offer quality salt spreaders from the leading manufacturers in the industry including WESTERN, BOSS and SaltDogg. Click for more information. Whether you have a simple salt application or service your customers, we have the product for you. 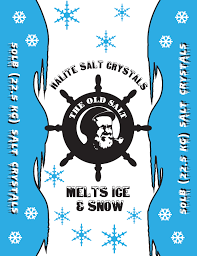 We offer a line of ice melt and calcium chloride for your winter needs. Call 610-494-9600 for current Prices. 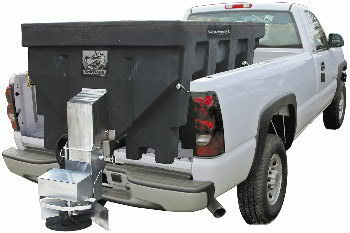 Look to Burke Landscape Supply to provide you with OEM replacement parts form WESTERN, BOSS, SaltDogg, SnowDogg, Fisher and Meyer. We service and repair all manufacturers. Click for More Information.